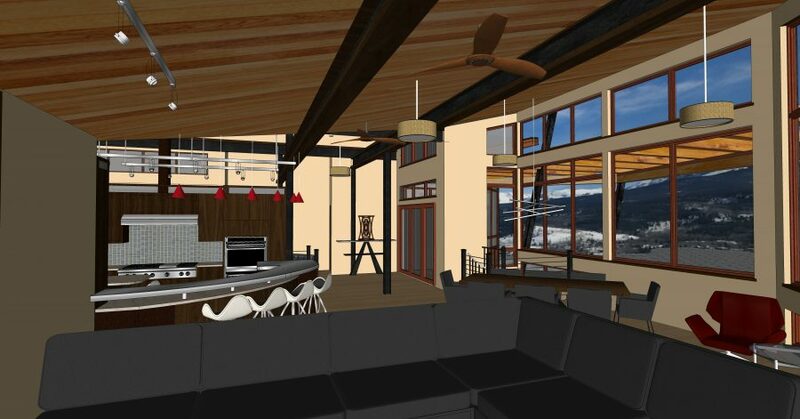 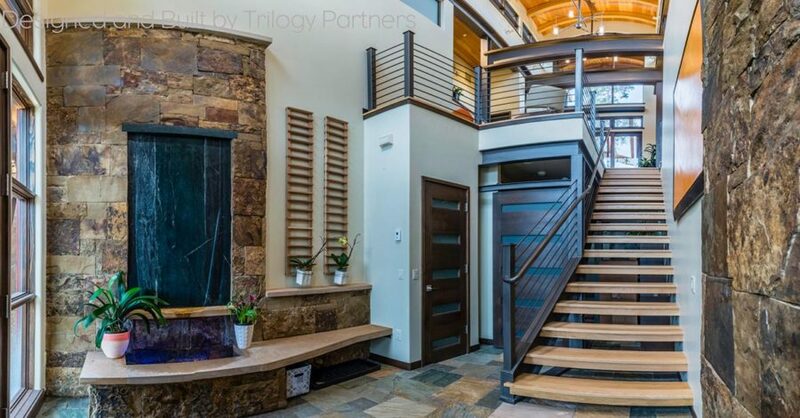 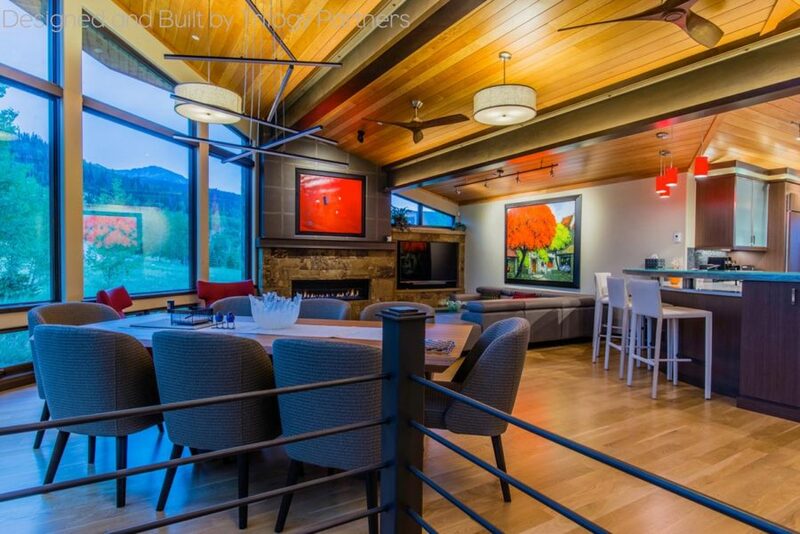 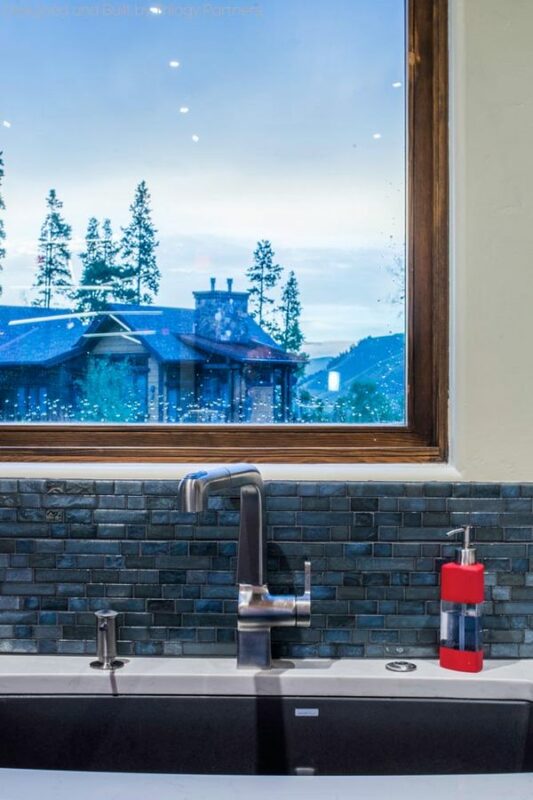 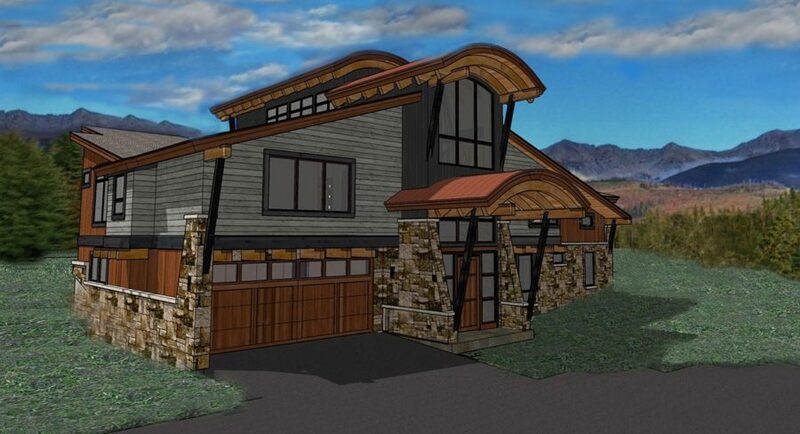 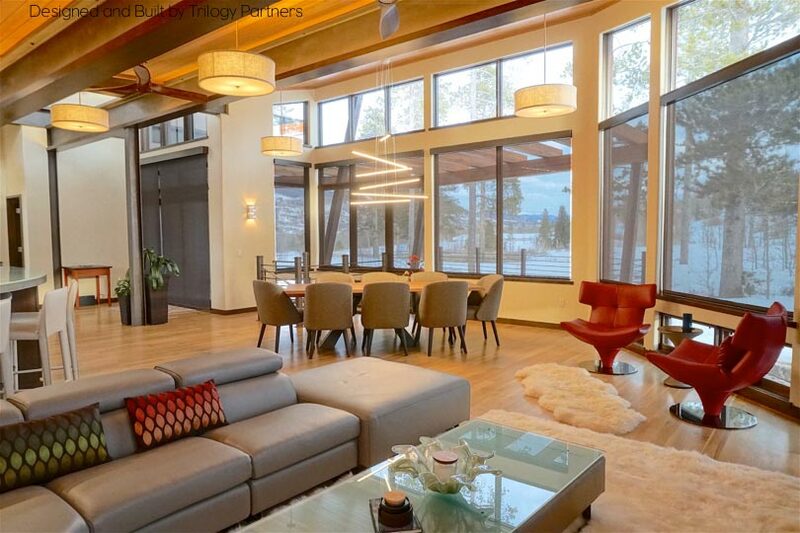 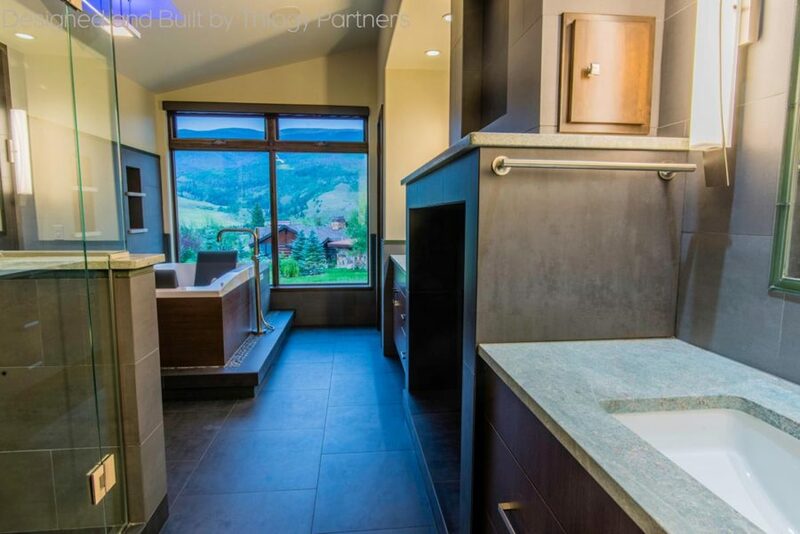 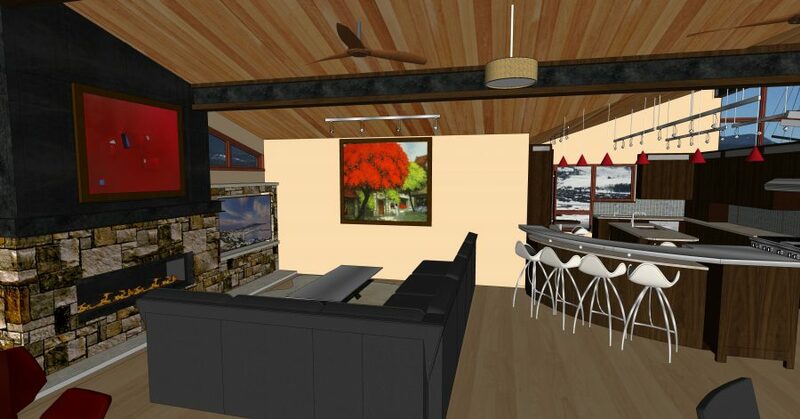 Perched in a sublime setting at the base of Three Peaks along The Raven golf course at 9000 feet in elevation, this mountain getaway was created for Denver-based clients who love the mountain lifestyle. 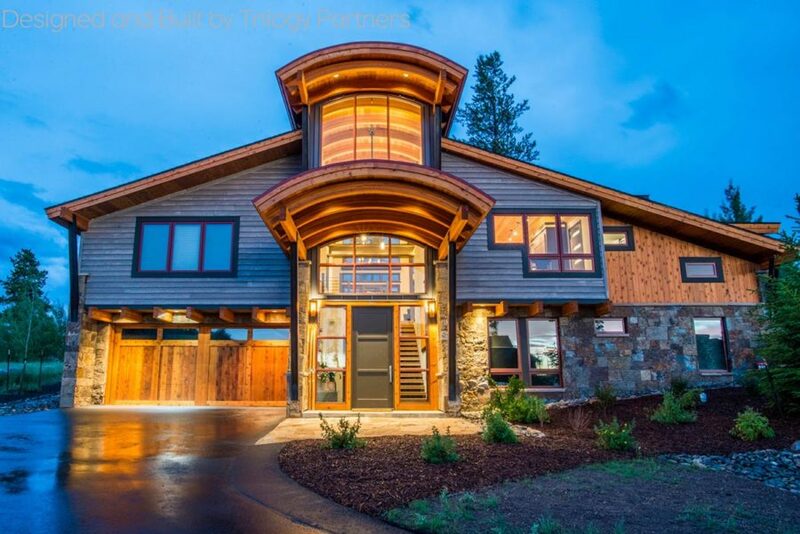 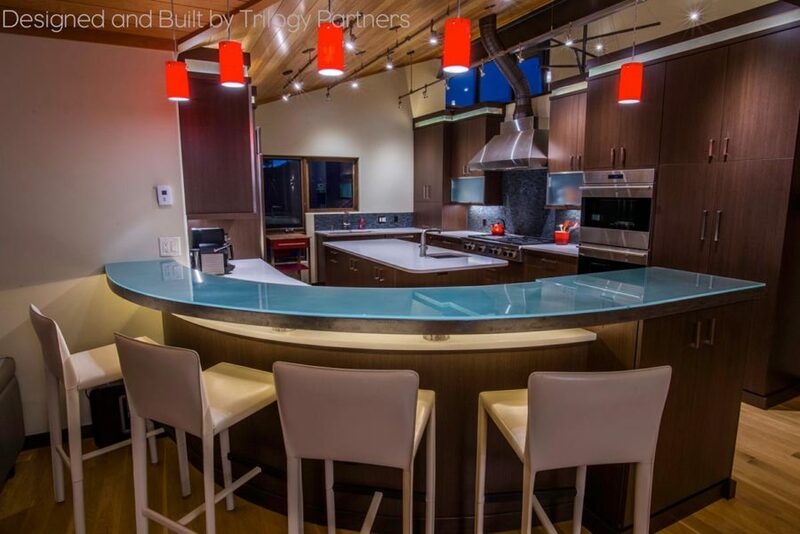 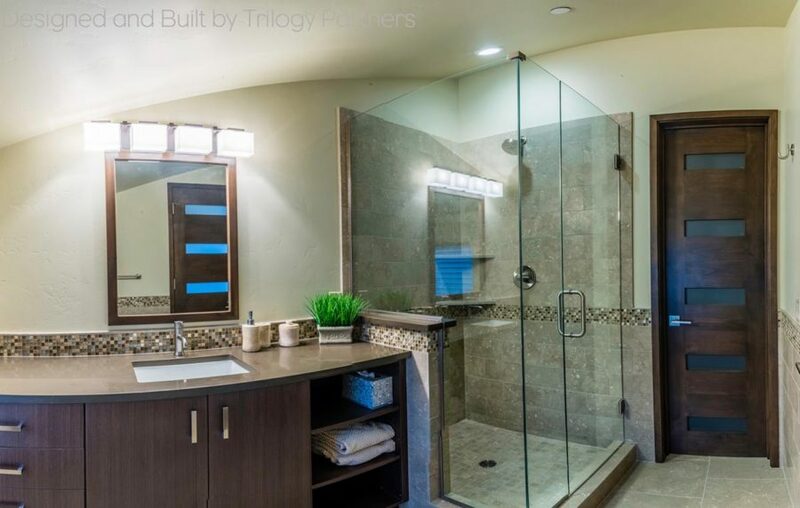 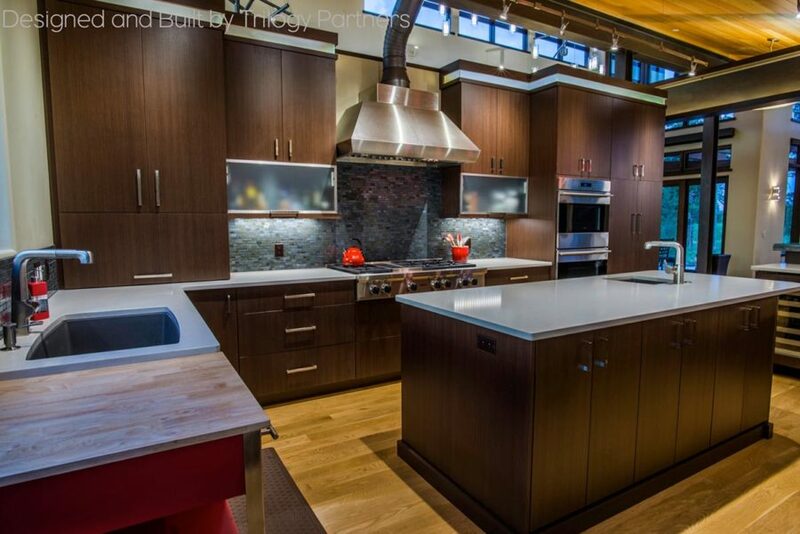 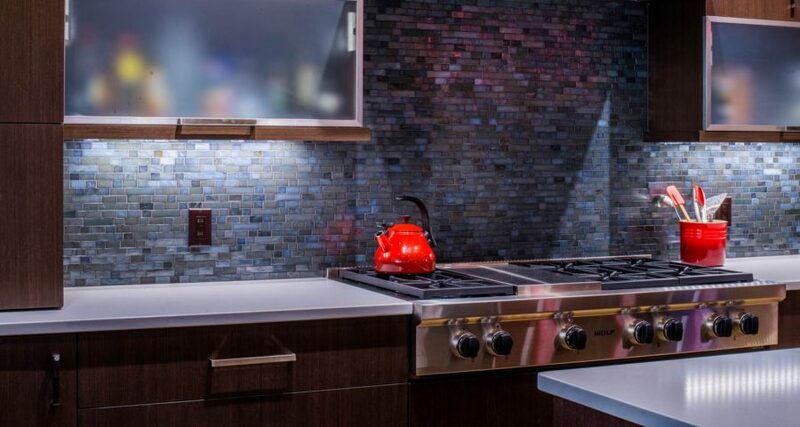 Apparent attention to quality and custom details throughout; this house won the most awards in its category at the 2016 Parade of Homes, including Best Overall. 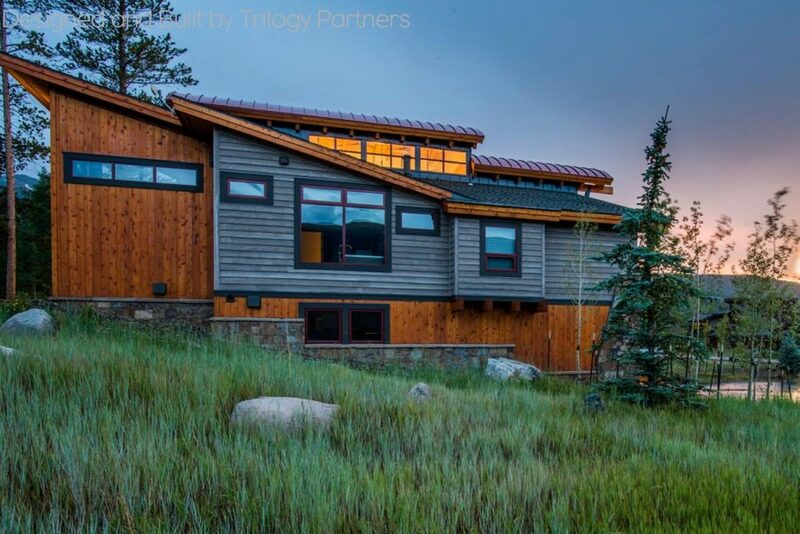 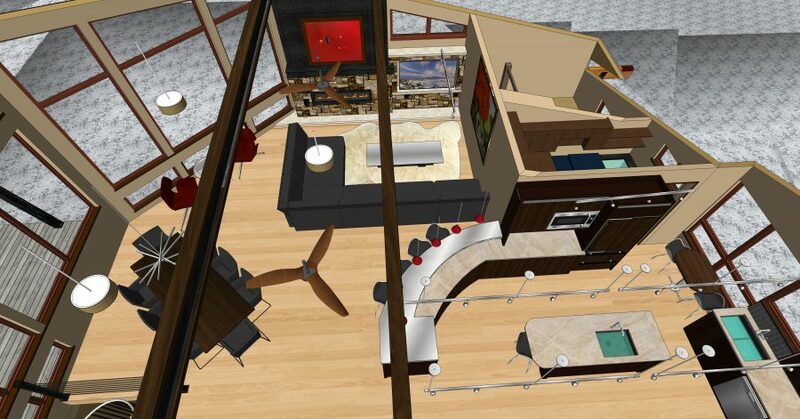 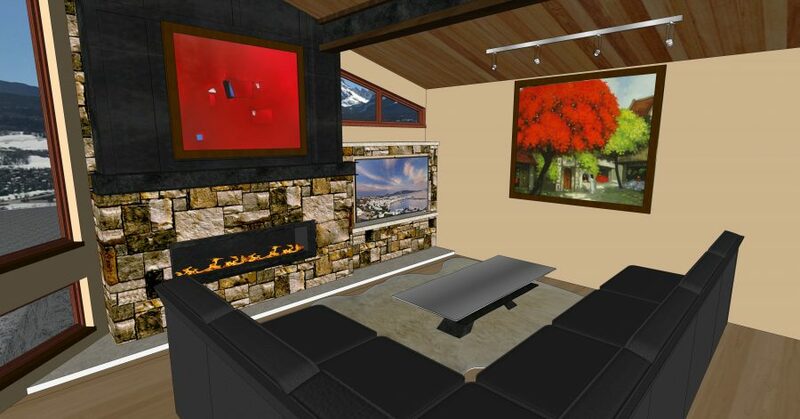 Trilogy’s Project Management Modeling (PMM) process allowed for unambiguous communication and experimentation — art pieces selected overseas before construction were placed into the model early-on and helped to guide the design and color selection. 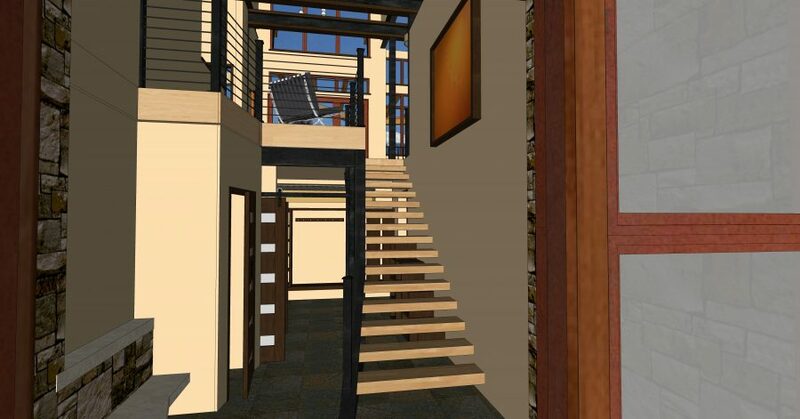 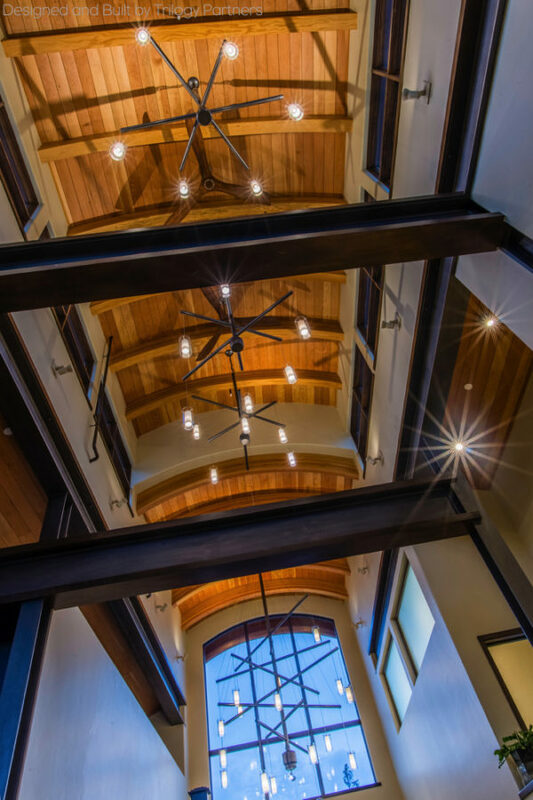 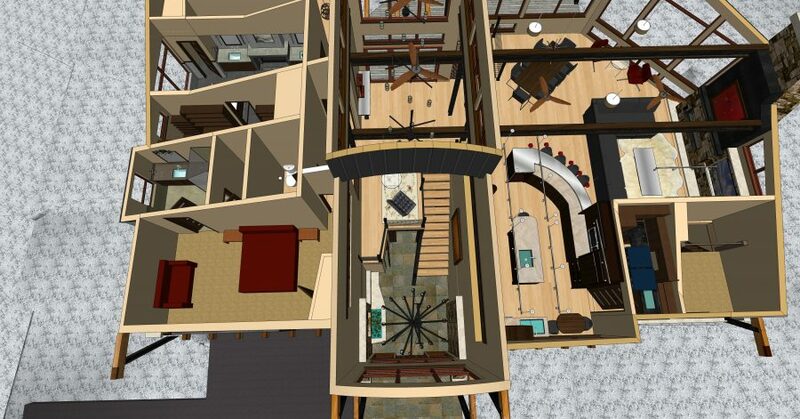 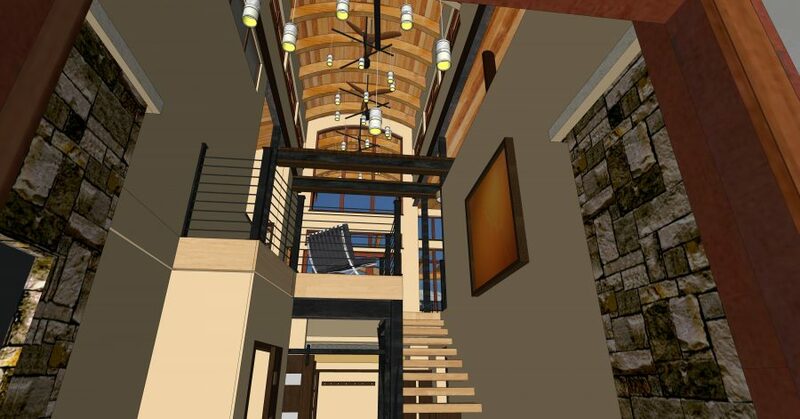 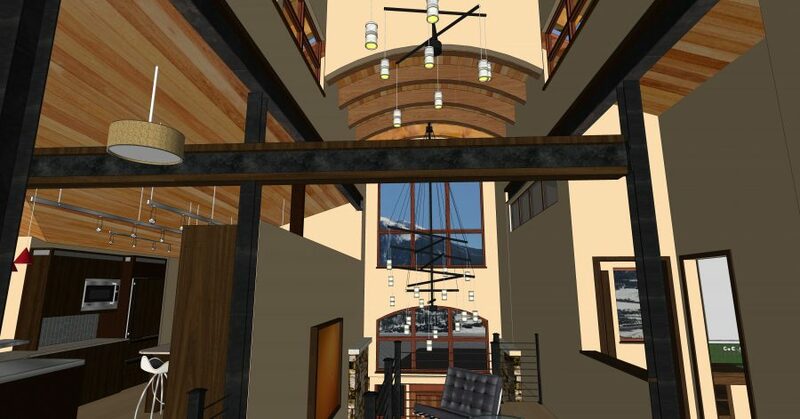 This 4-bed 5-bath home is made one-of-a-kind with several in-house custom designs aided by PMM: custom entry light fixtures with matching miniatures, a soapstone water feature and bench, thirty-foot barrel vault ceilings, a steel staircase that matches exposed steel beams, and 3 fireplaces. 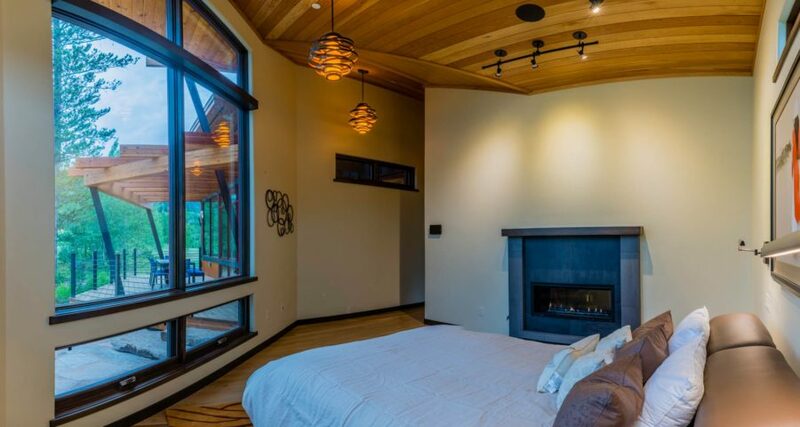 To insure optimal energy efficiency, this home all the exterior walls and roof were insulated with closed cell Polyurethane foam insulation. 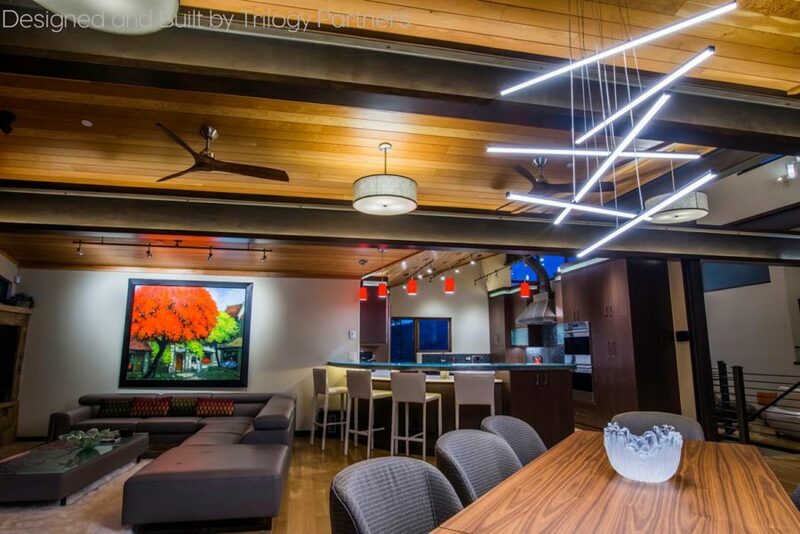 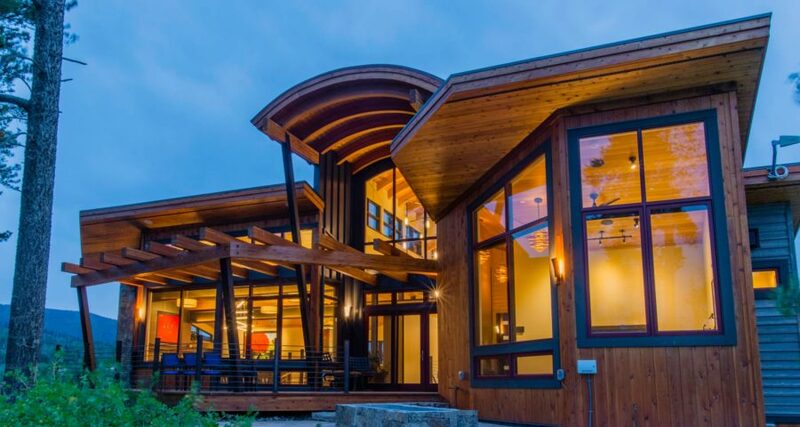 An air exchange system supplies fresh air to dramatically improve interior air quality in a home that is built to be incredibly “tight and efficient.” We particularly like this house for its mid-century modern feel with subtle Asian influences.